Inside the June Alley Inn, mice gather to tell fantastic tales, each trying to outdo the other. A competition, of sorts, begins. The rules: Every story must contain one truth, one lie and have never been told in that tavern before. 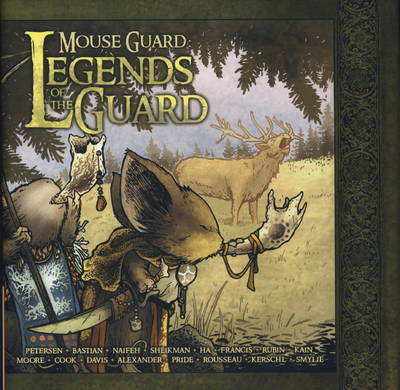 "Legends of the Guard" is a new Mouse Guard anthology series featuring the work of artists and storytellers handpicked by series creator David Petersen. Legends of the Guard stands outside of the time frame of its two predecessors, Fall (Autumn) and Winter 1152 and as such a reader could start here quite happily.